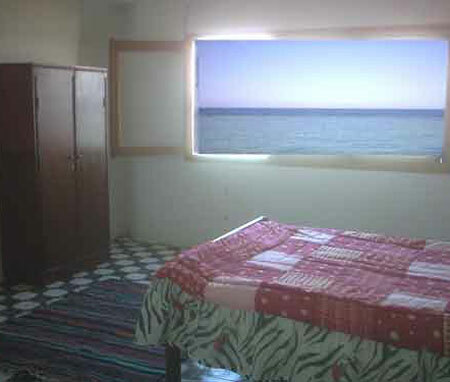 We are a new guest house developed from a locally owned family house, set in a quiet area right on the beach in Dahab. With the Red Sea and Saudi Arabia to the east and the majestic mountains of Sinai to the west. The house offers amazing views. 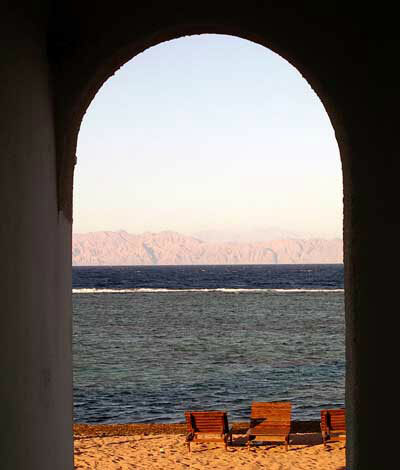 Perfect for relaxation or as a perfect base for exploring Dahab and Sinai. We offer new deluxe suites furnished to a high standard, with either direct sea views or mountain and garden views. All suites are air conditioned, with satilite TV and radio chanels. Kitchen area with sink, fridge and cooking facilities are avalible. All suites feature modern wet room style bathrooms and most suites benefit from a private patio area. Budget rooms are avalible on our first floor that are clean and spacious and offer lovely views. These rooms share facilities including bathroom with fresh water, kitchen, dinning and seating area. 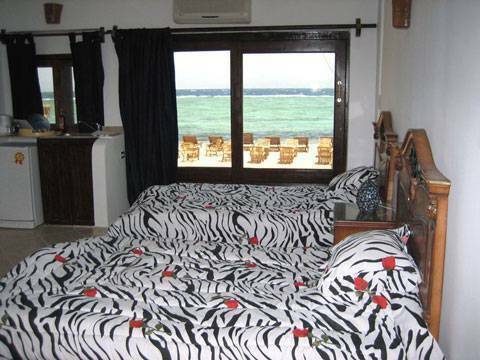 We also offer a three bedoom apartment for goups or families to share sleeping 6 persons. The apartment is clean and spacious and with 6 sharing costs just 5 euro per person! This really is the house of a Sheikh! We work in partnership with him and his family to offer a cultural experience to our guests. Bedouin safaris and life in the desert offer a unique insight into centuries old ways of living. Private sandy beach, with shaded area, sunloungers. Excellent snorkeling from our site or at Eel Garden Dive Site. Garden with seating areas and sheesha cafe. Kayak hire avalible and booking office for activities, day trips an safaris. Italian Restaurant on site serving excellent food for fine dinning by the sea. (Privately managed). 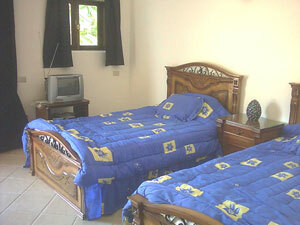 We can also offer our budget rooms as a three bedroom apartment to rent sleeping up to 8 persons. All facilities as above. To book reserve all three budget room types together to get a cheap apartment to share for up to 8 persons. Assalah Village is mainly a residential area on the edge of the main town centre. It has local shops, internet, nursery and creche all close by. Free 48 hours prior to arrival date, thereafter 20% of the total booking value. 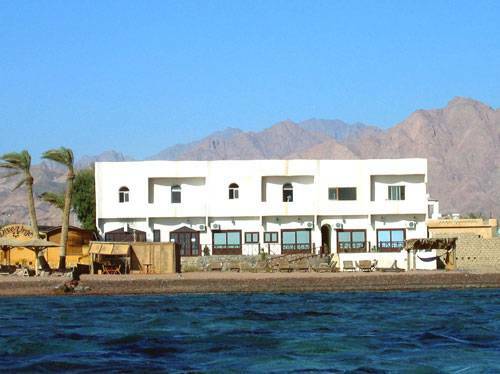 Dahab Bus Station is served by buses from Sinai and Cairo and is 10 minutes (in a car or taxi) away.